Note: These instructions apply to installing an extension downloaded from the Fooman website only. 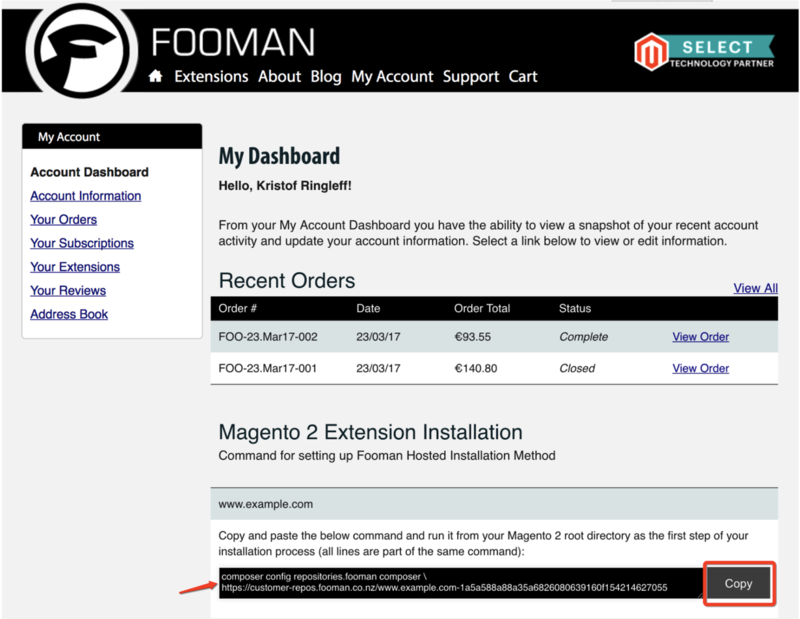 If you downloaded the extension from the Magento Marketplace, follow these installation instructions instead. Fooman will host your extension and will automatically push new extension updates to your repository, ready for you to pull/update in the future. New extension updates will be pushed automatically to this repository for as long as your support/update period is valid. 1. Log into Your Account on the Fooman website, using your the login details you signed up with. On your account dashboard, you will see a custom command line. Copy the command line.